A good first rule to follow in weed management is to be absolutely sure of the plant’s identification before undertaking any control work. 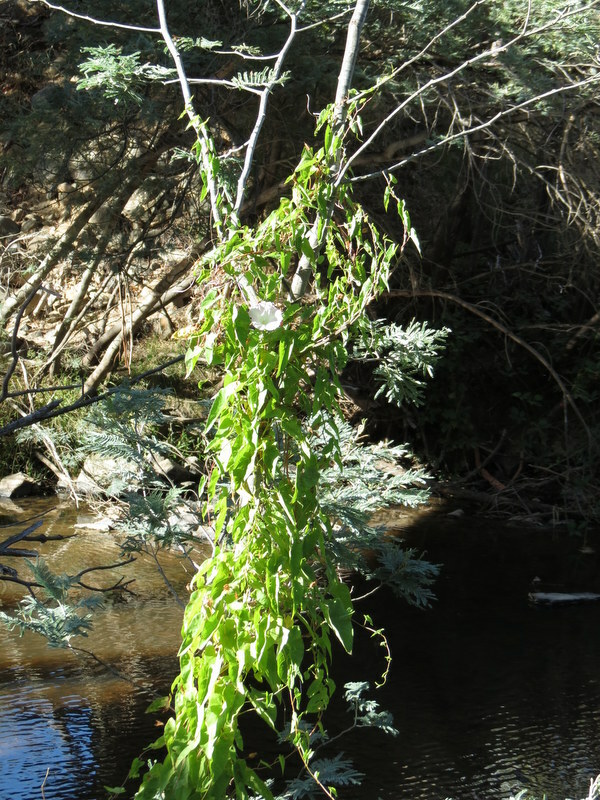 So we were pleased when the manager of a large property fronting the King Parrot Creek asked us about the identification of a creeper growing along the creek bank. He was worried that it was climbing up tree-trunks, and wondered if it was a weed that needed control with herbicide. 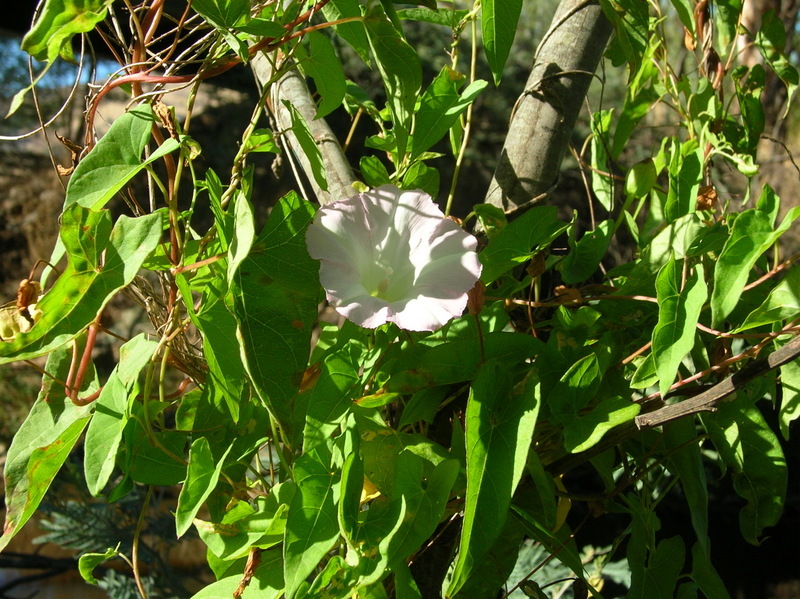 The leaves and flowers looked familiar and appeared to belong to a bindweed (Calystegia sp. ), but whether native or not was the question. 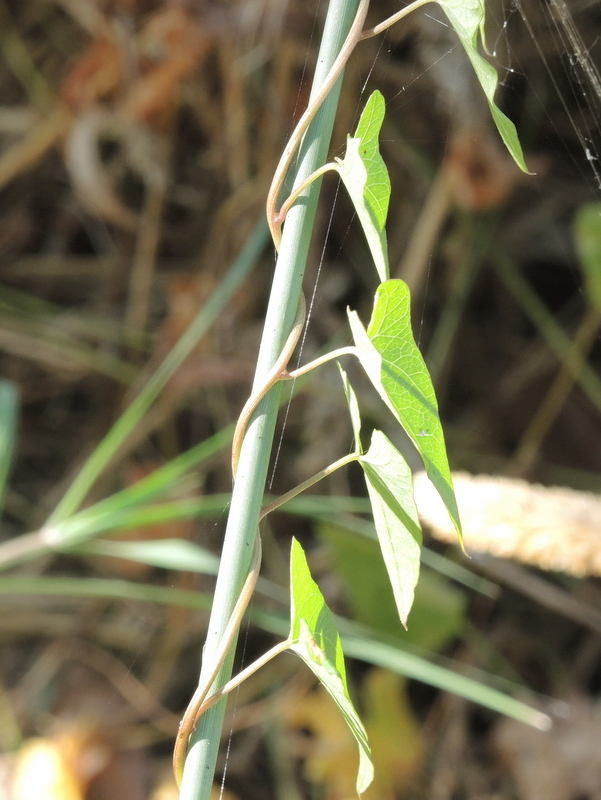 With the aid of a couple of good reference guides we tentatively identified the plant, by its leaf shape and particularly its pointed flower bracts (see photo below), as the native Large Bindweed (Calystegia sepium). 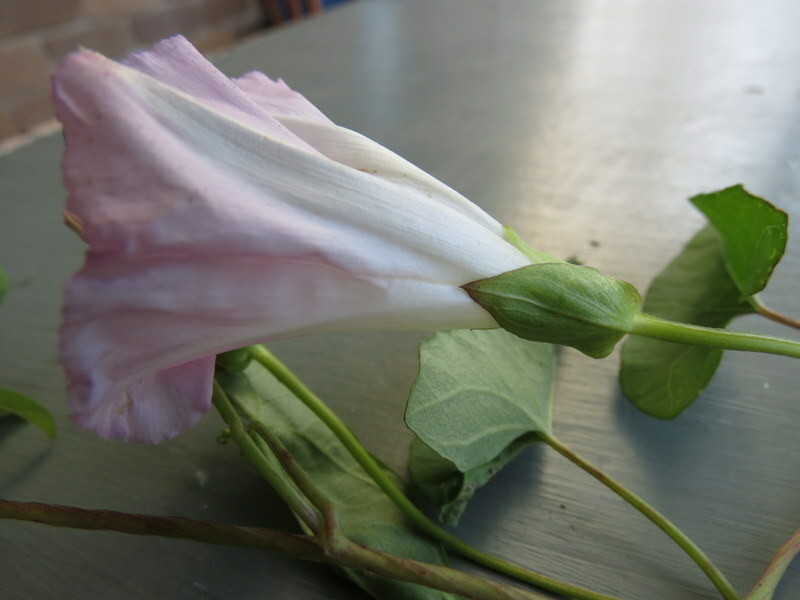 Large Bindweed is a vigorous twining/climbing plant of swamps, stream banks and flood plains. Our identification was confirmed by a professional botanist, who values the plant for its ability to strangle and pull down Phalaris (Phalaris aquatica) stems, while native Common Reed (Phragmites australis) is generally strong enough to cope with it. Phalaris, introduced as a robust pasture species, has become a significant environmental weed, particularly in wetlands and damper parts of roadsides and bush remnants. Its tall dense biomass represents a fire hazard and suppresses native plant regeneration, so any indigenous plant that manages to control and outcompete it is surely welcome. This can be seen to good effect in the Yea Wetlands, where there is a flourishing population of Large Bindweed in an area once dominated by Phalaris. 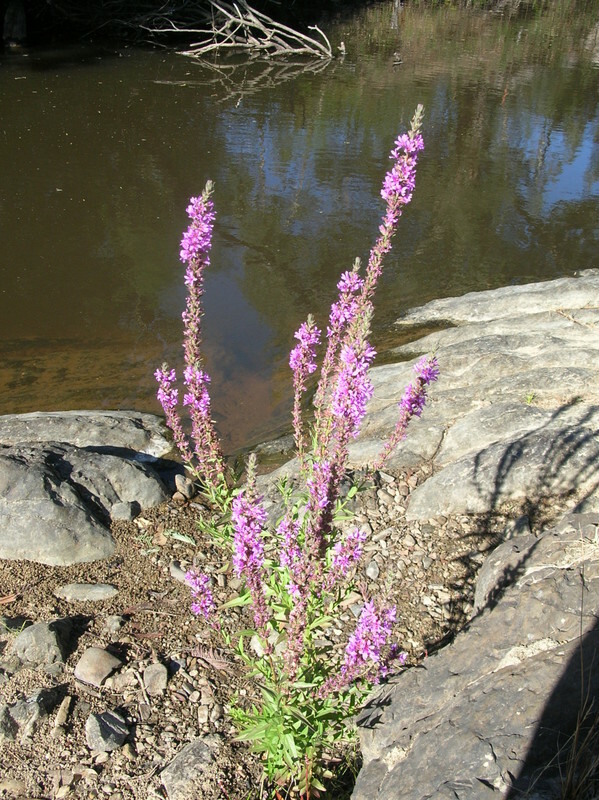 Another showy plant in flower on the banks of the King Parrot Creek at present is Purple Loosestrife (Lythrum salicaria), pictured at left. Although sometimes cited as a weed, this plant is in fact native to southeastern Australia. However, it has apparently become an invasive weed of North American wetlands. One man’s meat is another man’s poison!